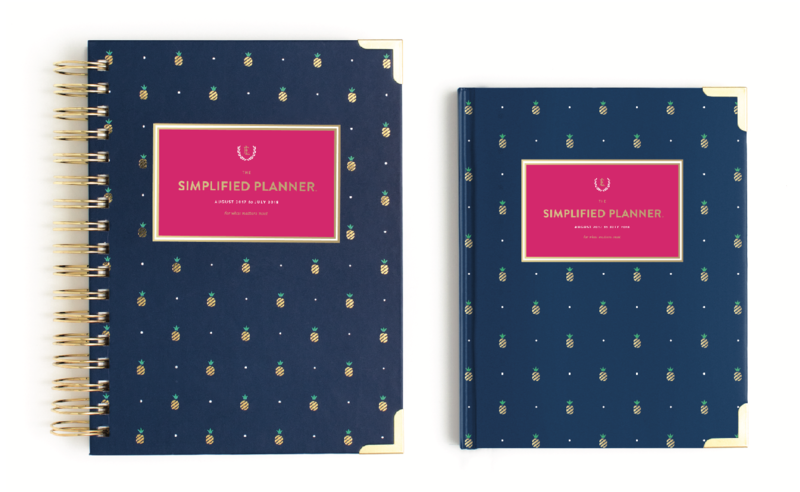 NEW Academic Simplified Planner covers revealed! Hooray! The time is finally here! 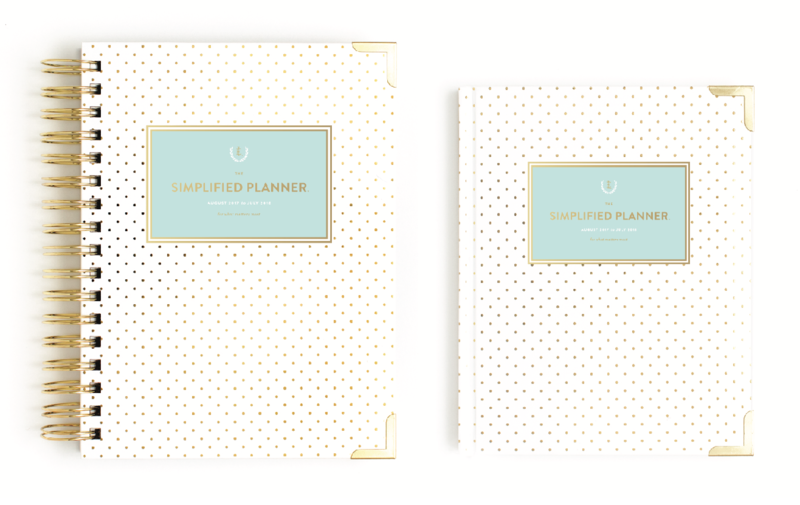 We’re THRILLED to share our NEW Simplified Planner covers (and format!) with you! (As a reminder, we have two launches every year. This is our Academic [Aug 2017 – Jul 2018] Launch. Our Calendar Year Launch is September 6 [Jan 2018 – Dec 2018 planners]). Always, always, always a bestseller, Happy Stripe is back! Happy Stripe is our signature pattern and features classic, bright, bold colors! Happy Stripe will always be my favorite. It was our first big seller and feels like my fifth child (Tyler’s stuffed animal, Monkey, is my fourth). Our Gold Dot pattern is soft and subtle with the PERFECT shade of robin’s egg blue for the title box. Perfect if you prefer a more neutral option. I have a feeling this one is going to be popular this year! Our signature gold pineapple pattern is back with the perfect navy background. This bold and classic cover is one of my personal favorites for 2017-18! These planners go on sale on Wednesday, May 17 at 10am EST! Be sure to mark your calendars! (In fact, you can add the Simplified Planner Launch to your iCal or Google Calendar HERE). Want to see more of the interior pages and features? 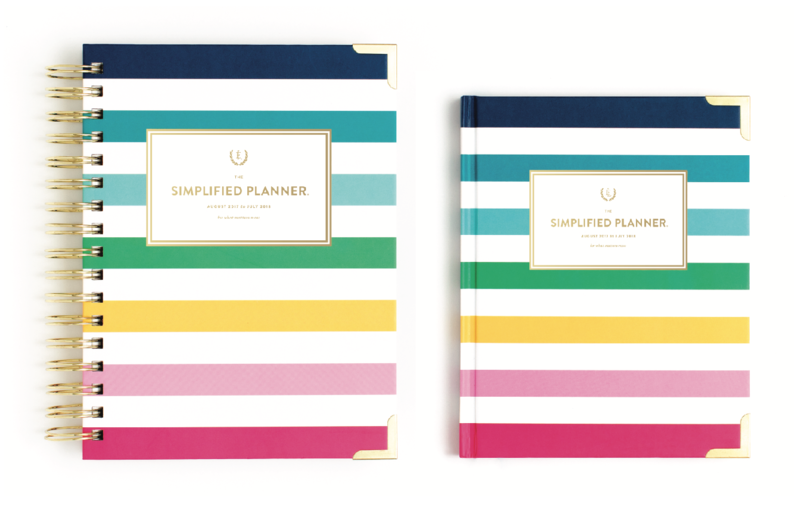 Visit this page for full planner photos, frequently asked questions, and a QUIZ to find out which Simplified Planner is best for you! 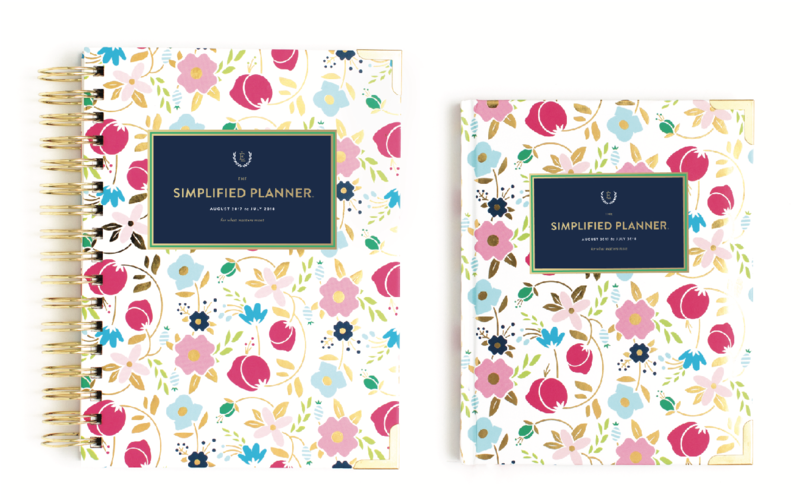 A special “thank you” to our hair and make-up stylists, Cortney Shaw and Lindsay Travis, as well as Kendra Scott for the beautiful jewelry on our Simplified Planner models!